I am an Italian born, Australian designer, photographer and artist. When I was 12 my family emigrated from Ercolano, Italy to Melbourne, Australia. I trained and worked as a graphic designer for three decades running my own studios either as sole proprietor or with partners. Together with Con Aslanis and the illustration cooperative "All Australian Graffiti" I produced The Kevin Pappas Tear-Out Postcard Book, a Penguin Books bestseller for 1977. 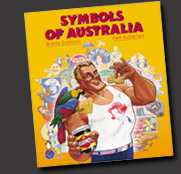 I researched Symbols of Australia (Penguin Books, 1980), the first ever study of Australian trademarks and commercial iconography. Symbols was co-edited and co-written with Fysh Rutherford. I had my first solo exhibition–Fotografics from Italy– in 1983. In 1987, together with a small group of Melbourne designers, I helped co-found the Australian Graphic Design Association. As a designer one of my goals was to foster more collegiality within my profession with the aim of raising standards. Since 2002 I have transitioned from design to fine art photography. My involvement in design now is more as a mentor and consultant. In 2003 I was awarded the Leica/CCP Documentary Photography Award for the series Arcadia del Sud. In 2008 I accepted an invitation to teach drawing at Sungshin Womens' University, Seoul, South Korea. In 2012 I completed a Master of Fine Art at Monash University studying artists' archives and the relatively uncharted genre of photographic autobiography. I now work as an artist and sessional lecturer.